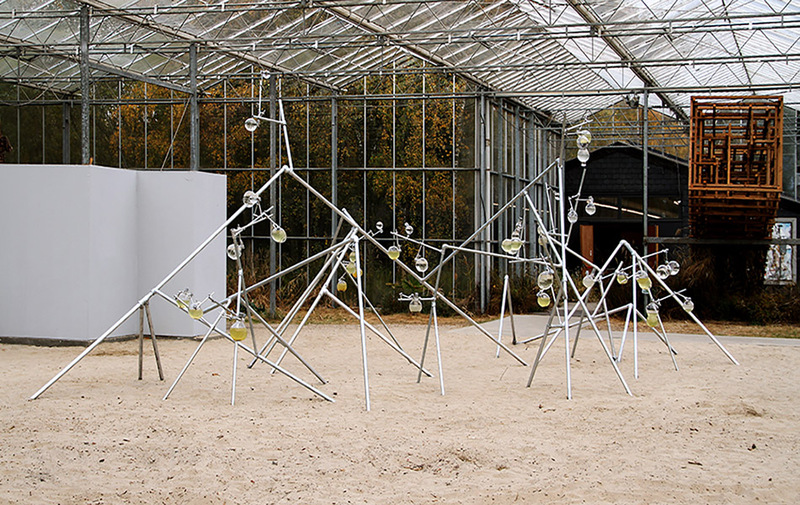 ‘Liquid Properties’ was originally commissioned for Munchmuseet on the Move, and a first install of the work was exhibited outdoor by Akerselva together with screenings of the thematically related film ‘Reclaiming Vision’. 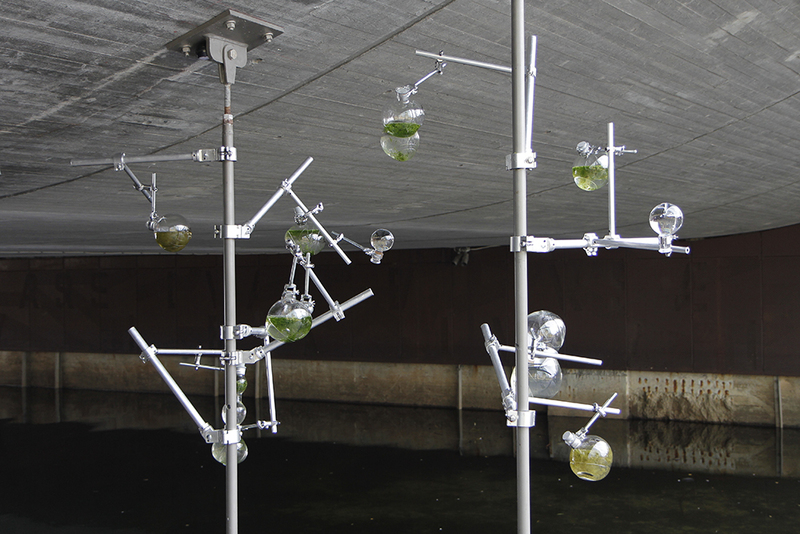 After its first realisation in Oslo, the installation will grow into a larger structure, and the live inhabitants of the installation will be replaced with water and organisms from various places. 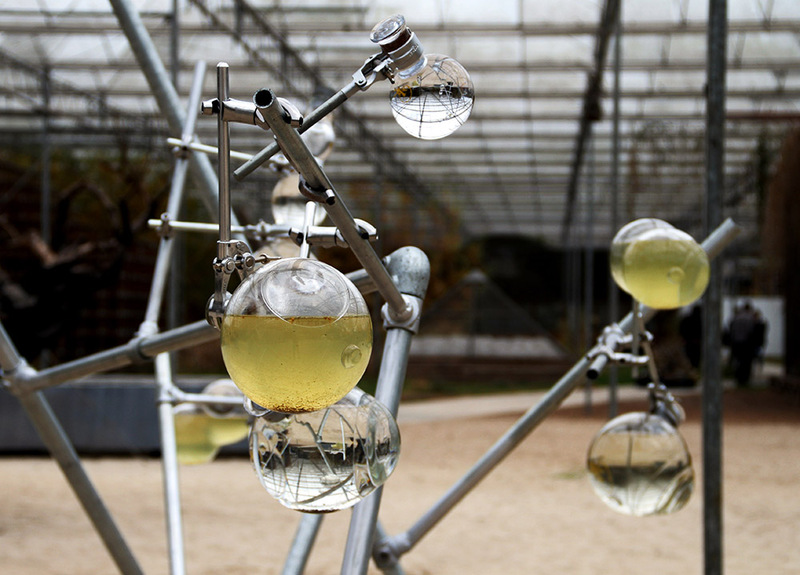 The sculptural installation 'Liquid Properties’, realised in collaboration with Toril Johannessen, consists of hand blown glass objects in a variety of shapes reminiscing of lab equipment glassware, buoys, ecospheres and water lenses. 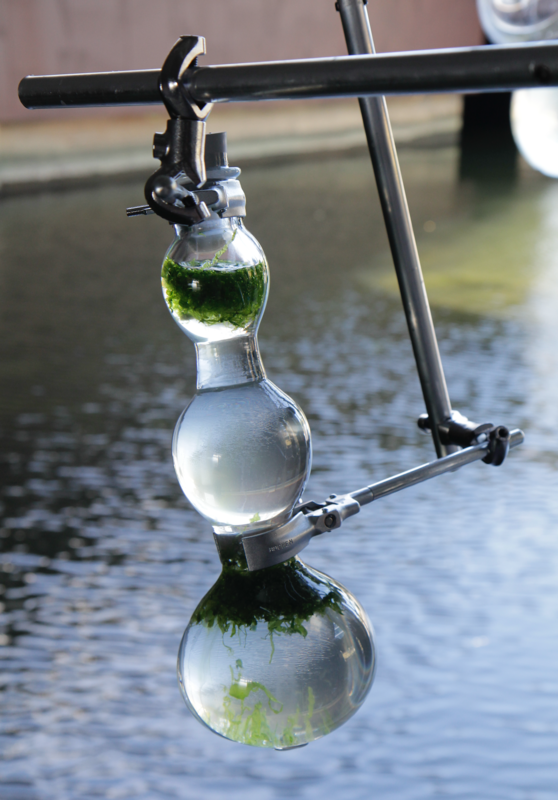 The glass objects are containers for samples of water taken from various sources, and are held by a meandering metal framework in a laboratory like set-up. 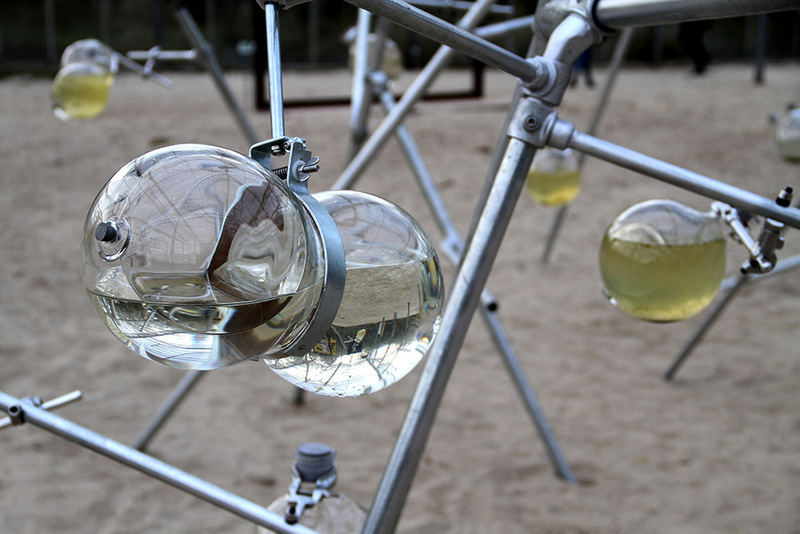 Each of the containers have one or more lenses integrated in the glass body, slightly magnifying the organisms, particles and pollutants inside. 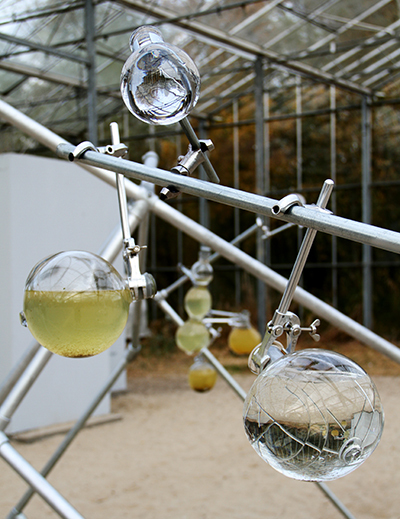 Studied up close, the glass objects are isolated ecosystems, also known as ecospheres. 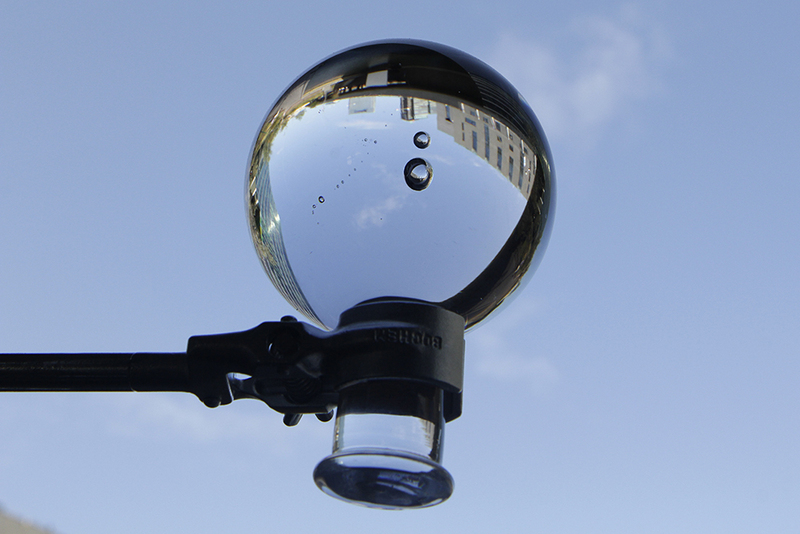 As a total installation, they might remind of models within a taxonomic structure, or even globes within a planetary system. 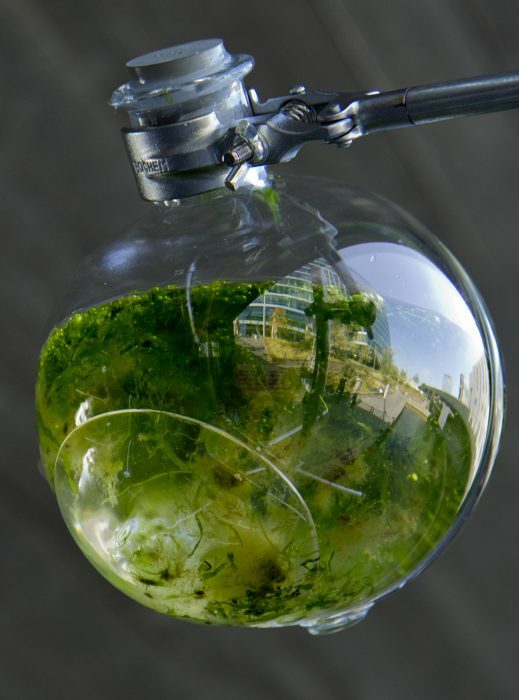 The ecosystems in the glass containers are changing over time, displaying natural processes where some organisms will thrive, others will not; some will be clear, others dense. Some might be taken over by bacteria, others may see algae growth, or perhaps the reproduction processes of creatures like tiny worms or shrimps. Natural conditions, randomness as well as deliberate interaction will influence the live processes within the ecospheres. 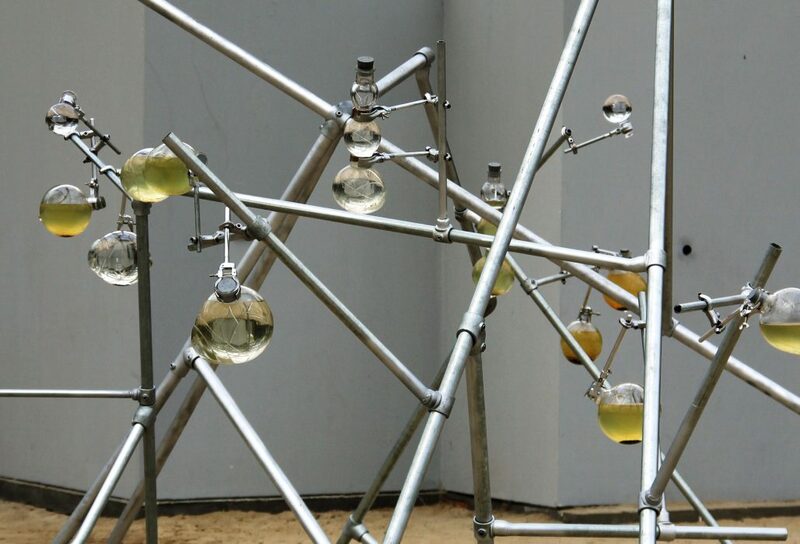 As such the installation is an experiment that ultimately looks at how we relate to (microscopic) life, questioning what is considered attractive, natural, resilient, repulsive, toxic or harmful. Dimensions: approx. H 3m. x L 10m. x W 7m.